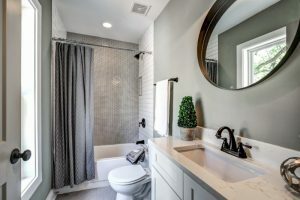 Since bathroom is inseparably pivotal in our house, owning crafted bathroom is undeniably most of people’s need. However, we need to consider the space that we have in order to still get the most comfortable private spot of bathroom. 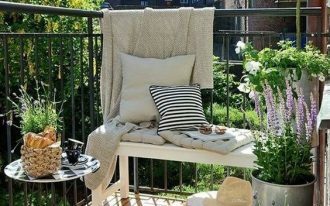 If you only have small space to begin with, you do not need to worry. 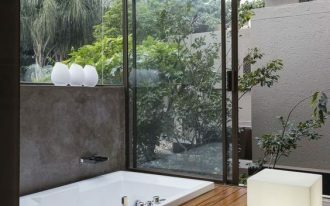 Here are ten stunning ideas of small bathroom remodel you may take a look at. This is simple yet elegant idea of contemporary bathroom in small space with beautifully crafted tiled floor and tiled wall. 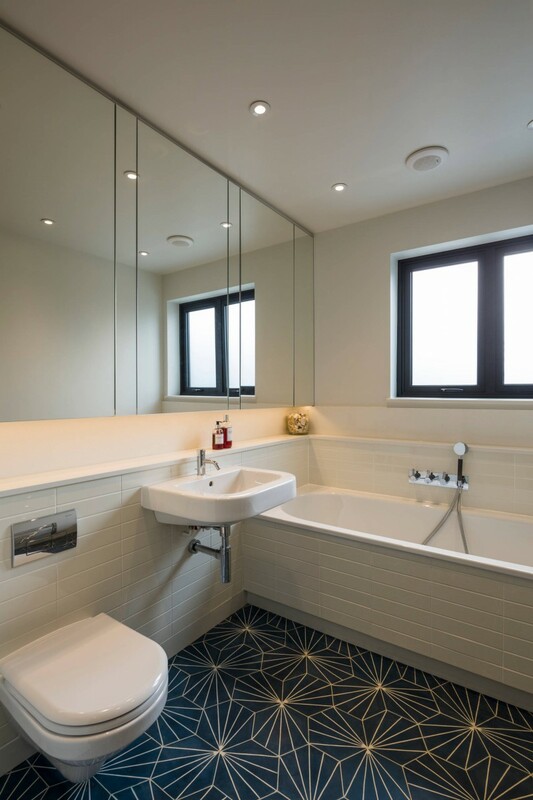 It is designed with the wall-mounted toilet, tub and large wall mirror. 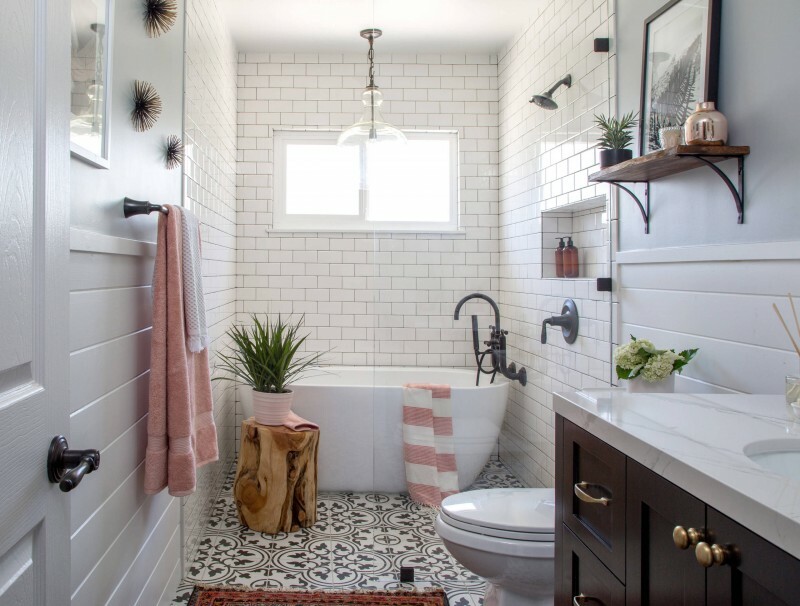 With the beige color, this bathroom seems so adorable and peaceful. It is another best idea of small bathroom with tiled floor. Yet, it has mosaic tiled wall giving you eloquent feeling of uniqueness. In addition, you might be inspired by the flat-panel wooden cabinet with small open shelf. 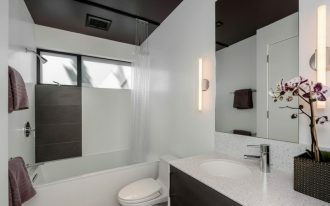 The most interesting elements in this bathrooms are of course the tiles, the bathtub, the lights and the cabinet. 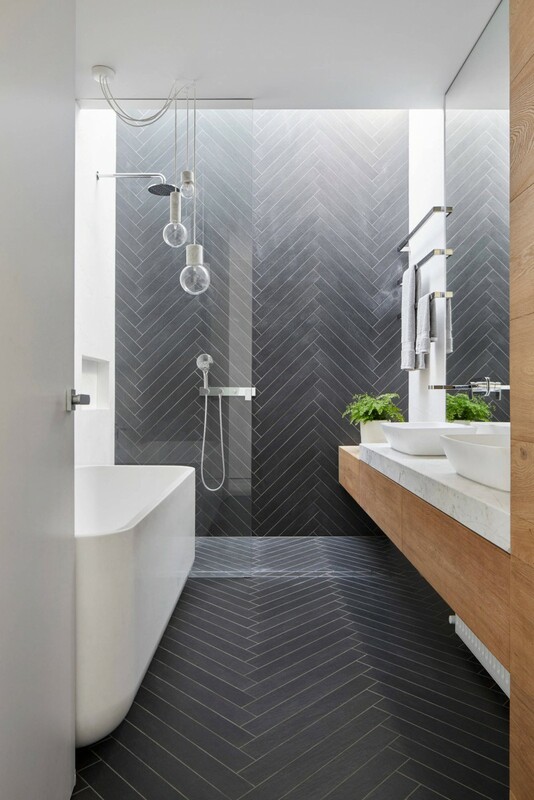 The floor and the wall have the same dark tiles making this bathroom so elegant. The white free-standing tub is matched with sink under the mirror. The hanging bathroom light is so adorable and the cabinet is designed in floating style made of wooden material. It is rather classic but it is still stunning with tulip designed floor and tiled wall. Also, the free-standing tub and the lamp still gives you the modern touch. 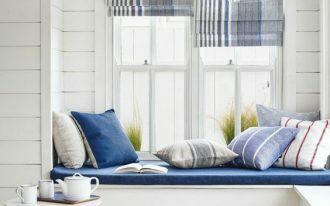 You may add some wall decoration and some greenery to make it more attractive. 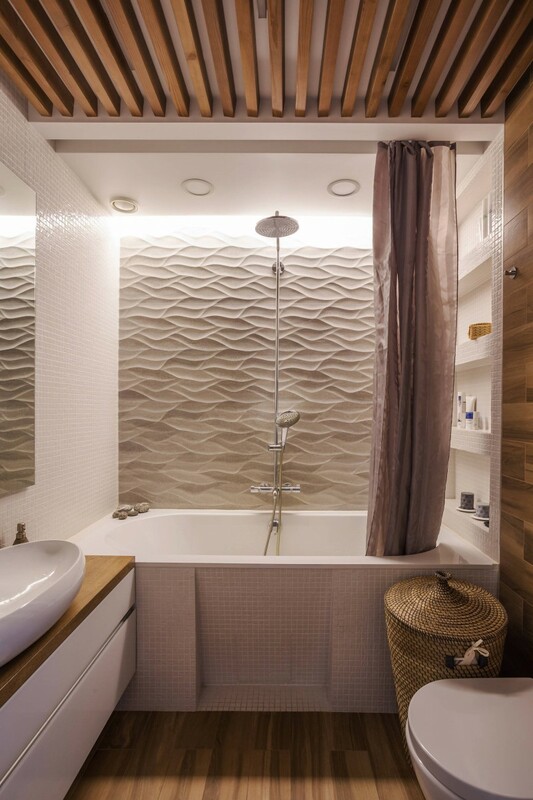 This wonderful idea gives you the inspiration to design your small bathroom with the sloped wooden ceiling, mosaic tiled wall and eye-catching beautiful textured wall. 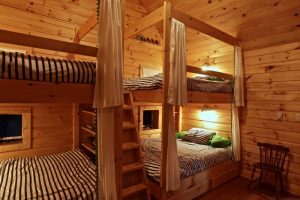 It has indeed wooden quality of the floor and the wall as well. The rattan basket and the shower curtain are another alluring parts. 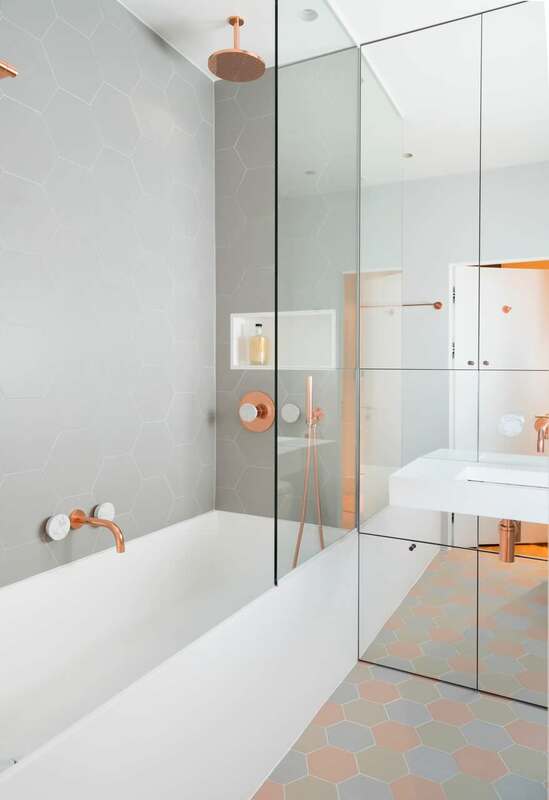 If you are bored with the conventional colors of white or black, this bathroom may give you different perspective. It combines the color of elegant white and soft pastel. 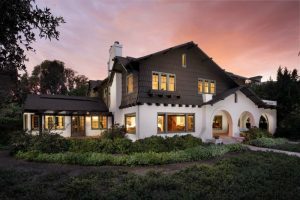 In addition, it is designed with glass siding and wonderful mirrored-paneled cabinet. 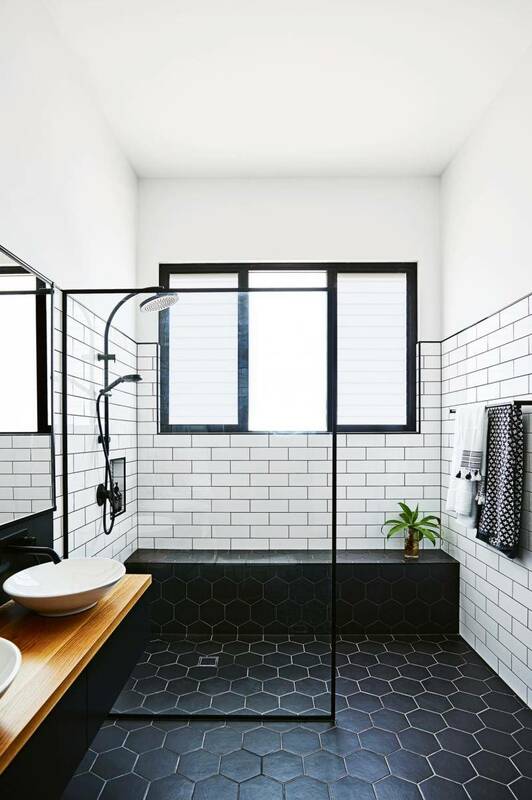 This simple idea of bathroom with black hexagonal tiled subway, floating wooden cabinet, and glass siding. 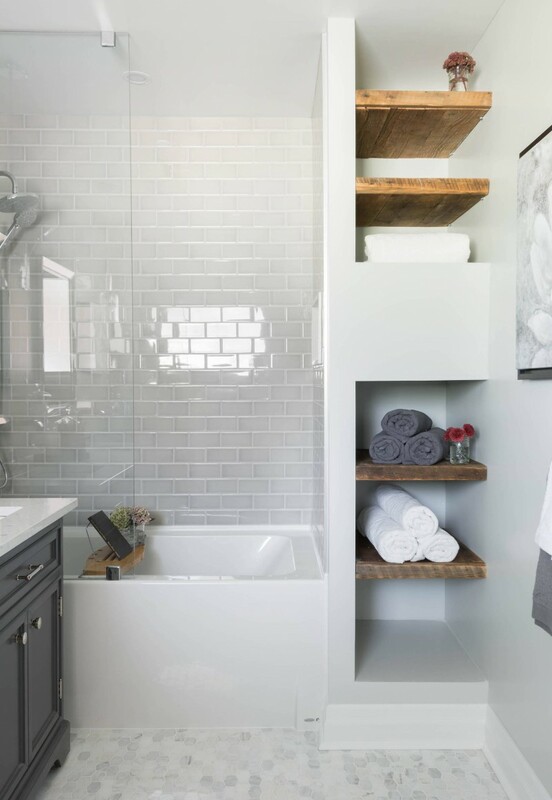 With the built-in shower bench, this bathroom is another point of attractiveness in your house. 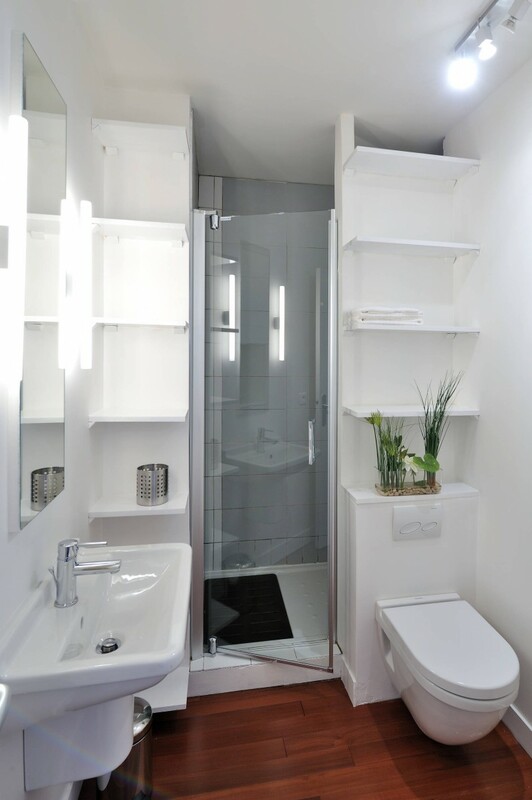 This white bathroom provides you with wall-mounted open cabinet, wood floor and wall-mounted toilet. 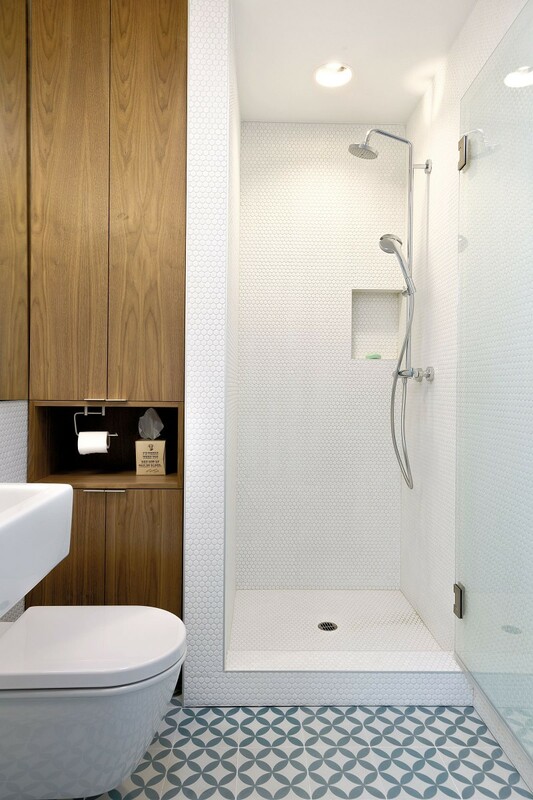 It is best idea you occupy your limited space with the alcove shower yet it still looks interesting. This bathroom is designed with marble floor, gray cabinet and low bathtub. It is also completed with the wall-mounted floating wood shelves enabling you to keep some stuffs of yours while you are bathing. 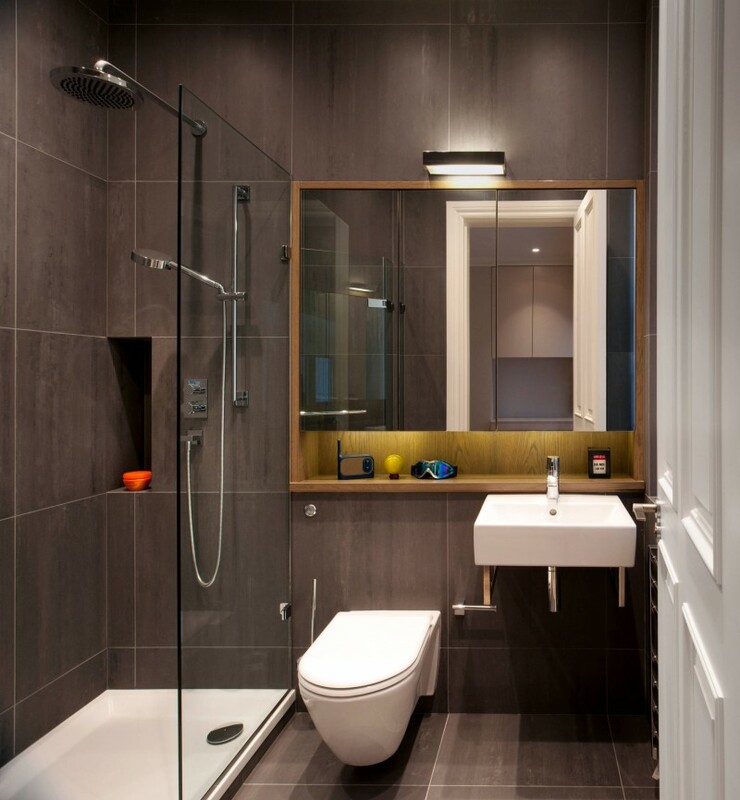 It is also stunning idea of small bathroom remodel with large tiled floor and wall with the wall-mounted toilet. Another interesting parts are the mirrored paneled cabinet with the open shelf under it.